Michael Grubb is Professor of Energy and Climate Change at University College London, Institute of Sustainable Resources, working closely also with the UCL Energy Institute. From 2011-2016, alongside academic roles, he worked half-time at the UK Office of Gas and Electricity Markets (the energy regulator, Ofgem) as Senior Advisor, and now Chairs the UK government’s Panel of Technical Experts on Electricity Market Reform. 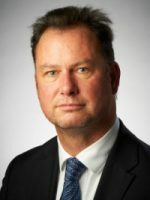 Professor Grubb founded the journal Climate Policy, and served on the UK Climate Change Committee, established under the UK Climate Change Act to advise the government on future carbon budgets and to report to Parliament on their implementation. Internationally, he is on the Scientific Advisory Board of the German Economics Research Institute DIW Berlin, is a Scientific Board Member of the European Parliament’s Progressive Economy initiative, and was formerly a member of the International Advisory Council of the International Association for Energy Economics. Giles Atkinson is Professor of Environmental Policy at the London School of Economics. His research and publications in environmental economics stretch over the past 25 years. In particular, much of Giles’ work looks at how policy-makers might construct better measures of economic progress through accounting for natural capital, particularly macro-level indicators such as comprehensive measures of (genuine) saving. This work has been cited extensively with, for example, over 8500 citations on Google Scholar. 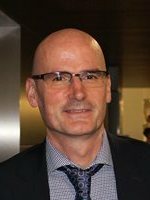 More recently his work has looked at the role of valuation in ecosystem accounting and he is a co-author of a forthcoming monograph on “Cost-benefit analysis and the environment” to be published by OECD (and substantially revised an earlier volume he co-authored with the late David Pearce). In addition, He was a member of the UK Natural Capital Committee (NCC) during its first phase from 2012 to 2015 and remains a member of the Steering Group for the Natural Capital Accounting Project of the UK Office for National Statistics. 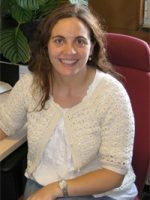 Maria Loureiro is full professor in the Department of Economic Theory in the University of Santiago de Compostela, being her research area environmental economics. She obtained her Phd from Washington State University (USA). Prior to University of Santiago she held faculty and research positions at Colorado State University (USA), Universidad Carlos III de Madrid (Spain), and the Institute of Bioeconomy in Oslo. She has published her work in prestigious journals, including: American Journal of Agricultural Economics, Energy and Resource Economics, Environmental and Resource Economics, European Review of Agricultural Economics, Plos One, Oxford Bulletin of Economics and Statistics and Land Economics, among others. In terms of practical applications of her work, she was required to provide expert testimony about the economic and environmental costs caused by the Prestige oil spill in Spain 2002. Her testimony was presented in trial in A Coruña 2013, and later ratified by the Supreme Court in 2016. Currently, she serves as secretary of AERNA and is also a council member of EAERE. Michael holds a Chair in Environmental Economics at the University of Bath, UK. He works in the field of environmental economics and public goods, in particular on international environmental agreements. He has published widely in journals such as the Journal of Public Economics, Journal of Public Economic Theory, Social Choice and Welfare, Public Choice, and Environmental and Resource Economics. He is Co-Editor ofEnvironmental and Resource Economics and has been guest editor of various special issues in this journal, the Journal of Environmental Economics and Management and Oxford Economic Papers. He was President-elect of the German Association of Environmental Economists (2008-2010) and Past President-elect 2010-2012, and was a Lead Author of the 5th assessment report of the International Panel on Climate Change (IPCC), Working Group III, which was released in 2014. Santiago J. Rubio Jorge (Valencia, 1958) is full professor of the Economic Analysis Department at the University of Valencia (UV). Bachelor of Economics (1982) from the UV, he has a Master in Energy Economics from the French Institute of Pretoleum and the University of Dijon and a doctoral degree in Economics from the UV. In 2009, he received the National Prize Lucas Mallada in Economics and Environment awarded by the Spanish Government. He served as Second Vice-President of AERNA from 2002 to 2005 and as Vice-President of the European Association of Environmental and Resource Economists (EAERE) from 2008 to 2009. In 2012 was appointed Head of the Department of Economic Analysis at the University of Valencia. Specialist in Environmental and Resource Economics, he has addressed different issues: optimal management of water resources, the relationship between growth and environmental preservation, strategic environmental policy and the stability of international environmental agreements. He has published more than thirty paper in national and international journals including Journal of Environmental Economics and Management, Oxford Economic Papers, European Journal of Operational Research, Journal of Public Economics, Spanish Economic Review, Journal of Economic Dynamics and Control, Resource and Energy Economics and Environmental and Resource Economics. Dr Luca Taschini is an Associate Professorial Research Fellow at the Grantham Research Institute at the London School of Economics. He is also an Assistant Professor at the Department of Economics at the University of Verona. 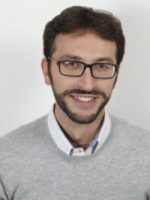 Luca is member of the CESifo Energy and Climate Economics Research Group in Munich, Germany, and Visiting Scholar at the Research Center for Sustainability Science at Ritsumeikan University, Japan. He was previously Senior Dahrendorf Fellow at the LSE and Visiting Scholar at the MIT Joint Program on the Science and Policy of Global Change, U.S.A. His research is in the field of environmental economics, industrial organisation and finance, with a focus on applied work. Luca has provided regular advice on climate policy and energy to governments and regulatory bodies (the European Commission, World Bank Group, Asian Development Bank, NORAD and UK BEIS).